No Place For a Lady will hook anyone who’s loving Poldark, weeps at Suite Française, devours writers such as Victoria Hislop, and can’t believe their luck when they find Gone With the Wind is on the TV. Set against a backdrop of the Crimean War, packed with gripping drama, vivid historical detail and with a love story that will squeeze your heart tight – this is the perfect all-consuming summer read. 1854. Britain slides unprepared into a gruesome war. Lucy Harvington, who knows little beyond how to play the piano, has accompanied her handsome impetuous officer husband to the battlefields of Crimea. She’s way out of her depth, so if he doesn’t survive what will become of her? Dorothea Gray, a nurse at London’s Westminster Hospital, is determined to follow her little sister Lucy to the front and serve her country alongside her heroine Florence Nightingale and the pioneering nurses already risking their lives out there. Rich in historical detail, the far-reaching narrative will sweep you off your feet, making this the perfect escapist read this summer. 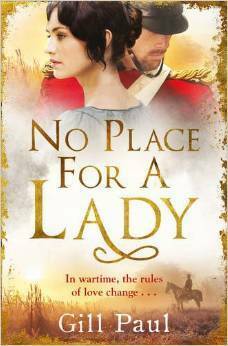 I’m delighted to be taking part in the blog tour for No Place for a Lady. I recently read this and thoroughly enjoyed it, it was definitely a 5* read. My review will be posted soon but in the meantime I do hope you enjoy this extract. ‘We love each other with all our hearts. It’s been nine whole weeks since we met and both of us agree we’ve never felt as sure of anything in our entire lives.’ Lucy spoke passionately and in her words Dorothea could hear echoes of the romance novels she loved, full of chaste young girls and brooding heroes. ‘What do Captain Harvington’s family think of this idea? Surely they’ll see that it’s silly to rush into marriage while war looms? Everyone says it’s inevitable after the Russians destroyed those Turkish ships at Sinope last November. Why not wait till he comes back? It’s bound to be over quickly. The Russians are no match for us, especially when we are in alliance with the French. It would make much more sense to wait.’ Dorothea cast around for further arguments that would carry weight with her flighty younger sister. ‘We could plan a beautiful ceremony and there would be time to invite all the family members we haven’t seen for years. You could have a dress especially made, and use mother’s Chantilly lace veil. Think of it, Lucy; a proper wedding, not something rushed and over-hasty …’ She tailed off at the determined glint in Lucy’s eyes. ‘Our minds are made up, Dorothea. Fortunately it’s not up to you. It’s between Papa and Charlie.’ She turned to her father. ‘Papa, you will listen favourably to his request, won’t you? We are so much in love and he needs me to go with him and care for him. Besides, you don’t want to be stuck with two old maids on your hands, do you?’ She looked pointedly at her sister, unmarried at the age of thirty-one, who tutted at the rudeness of her jibe. After breakfast, Dorothea followed her father down the hall to his study, where he liked to spend the morning snoozing over his newspaper. She waited till he was settled in his comfy leather armchair, with a view over the leafless trees of Russell Square, before speaking. ‘Quite.’ Her father nodded in agreement. 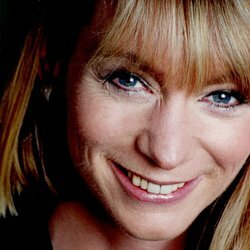 Gill Paul is a writer of meticulously researched historical fiction. Her five novels include Women and Children First (set on the Titanic and published in 2012 for the centenary of the sinking) and The Affair (set in Rome in the early 1960s, and published in May 2013, on the 50th anniversary of the release of the Burton-Taylor Cleopatra movie). Gill has written several non-fiction books, including Royal Love Stories and World War I Love Stories.